For some fifteen-year-old Latin American girls, the Quinceanera may seem like a modern celebration because these days, many of its elements affirm what’s trendy and current. 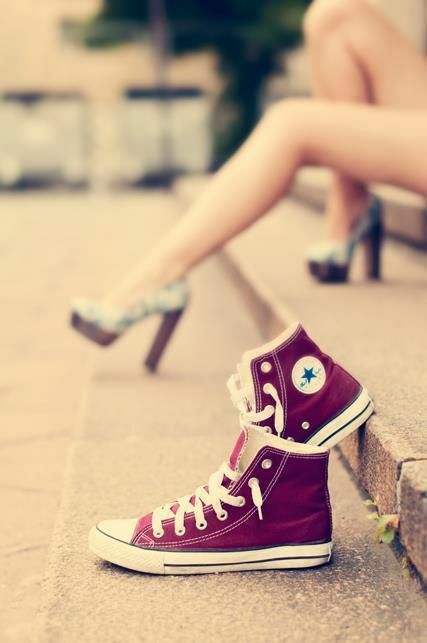 However, this unforgettable rite of passage in the life of a female teenager dates all the way back to 500 B.C. and the Aztecs! It’s truly fascinating, so let’s take a closer look at the history of Quinceanera celebrations throughout the ages. During the Aztec and Toltec civilizations of ancient Mesoamerica, fifteen marked the age at which girls became women and were thus appropriately viewed as future mothers. This was crucial during those times because the culture was dependent upon the rearing of future warriors in order to survive and flourish. In 18th Century Spain, there’s documentation that the Duchess of Alba threw a palace party and invited teenage girls to attend, dressing them up in formal clothing for the very first time. The following century, the Empress Carlotta of Mexico did the same for the teenage daughters in her court, presenting them to society as now eligible for marriage. 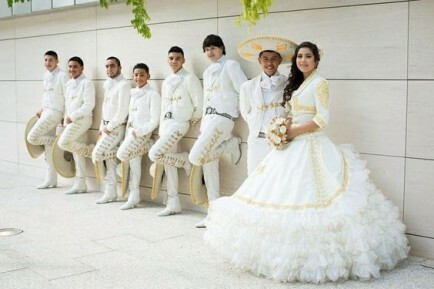 Throughout time, the primary goal of the Quinceanera shifted. It was no longer about becoming a future mother but instead became symbolic of a girl’s transition into womanhood. 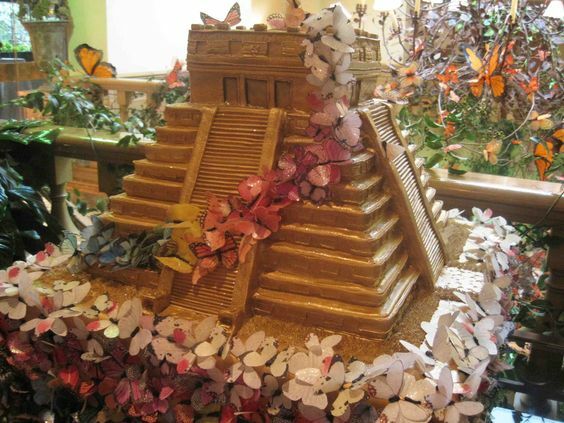 The celebration of the Quinceanera includes elements of the Aztec heritage along with Spanish and Catholic traditions, many of which are often present even in today’s times. A traditional Mexican Quinceanera always included damas and chambelanes—pairs of boys and girls close to the celebrant’s age—who danced and held court with the Quinceanera. Alongside the celebrant was an accompanying male holding the title man of honor. Potential suitors and their corresponding dowries were presented to the Quinceanera and her family. But before she was given away in marriage, the Quinceanera engaged in festivities with women who gave her instructions about her future responsibilities and duties. She was also provided with reminders about staying true to cultural tradition and holding to the correct spiritual path in life. No matter what status a family may have held, a Quinceanera was celebrated because it was a landmark birthday. Affluent families threw lavish parties and had the Quinceanera don fancy, princess-like dresses. In many Latin American countries, these parties were written about in the society pages of newspapers so that others could read of the elaborate celebrations. When the Latin cultures migrated to America in the sixties, they brought the tradition of the Quinceanera with them. Immigrants held grand parties just as in their motherland. Some opted for simple celebrations with food, cake, and dancing, while others went the extra mile and made it as big a celebration as possible. Some held a block parties in the neighborhood streets, while the richer families hosted their celebrations in country clubs or other exclusive venues. Today, the expenses for these gatherings can range in the thousands of dollars, with $4,000 being an average cost for a modest party. Meanwhile, those who can afford a lavish celebration can expect to spend $15,000 or even more. No matter the simplicity or extravagance, though, today’s Quinceanera celebrations still combine modern elements with old traditions. 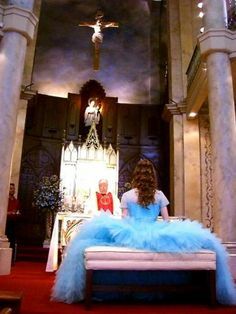 While the Quinceanera party is often celebrated differently, it’s significant to note that many cultures still include elements that pay tribute to the Catholic Church. The most obvious indication is the inclusion of a Holy Mass preceding the revelry. This element of the celebration is also a way to thank God for the blessings that the family has received, including that of the girl reaching her fifteenth birthday. Because of this, there are three elements, common to almost all cultures, that are given to the Quinceanera during her ceremony. First is a Bible, often adorned in fancy cloth, bestowed by the priest. This is a symbol of the importance of God’s word to her life. Second is a flower bouquet, usually in the same colors as the celebrant’s dress and that is left at the foot of the statue of the Virgin Mary. Finally, a tiara symbolizes that the Quinceanera is both a daughter of God and a princess in the eyes of those who love her. Other items that are often included are a rosary and a prayer book. The rosary is significant because this will be her first adult rosary to replace the child-sized one she most likely received at her first communion. The prayer book is a symbol of her initiation into a life of pious devotion, which is something expected of adults of her gender. 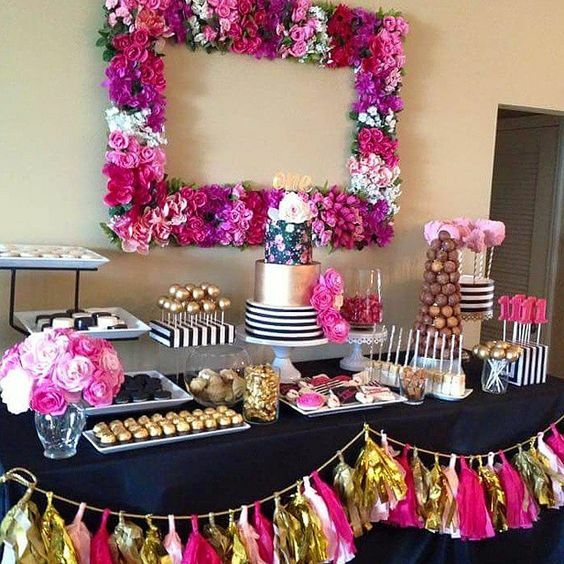 Tip: Here’s a grest resource for Quinceanera packaged sets. You can get everything in one place—last doll, pillows, a covered Bible, and they even have toasting sets! Apart from the religious items that are part and parcel of a Quinceanera’s celebration, there are other symbols of the girl’s transition into womanhood. First is the dress that she wears to her party. It’s usually reflective of her personal style and preferences but still maintains some elements of the traditional Quinceanera gown. It’s also her first adult dress—not unlike an evening gown—and denotes a change of status in society. A traditional Quinceanera gown is similar to a wedding gown, another item of clothing that is also worn as a symbol of societal transition. 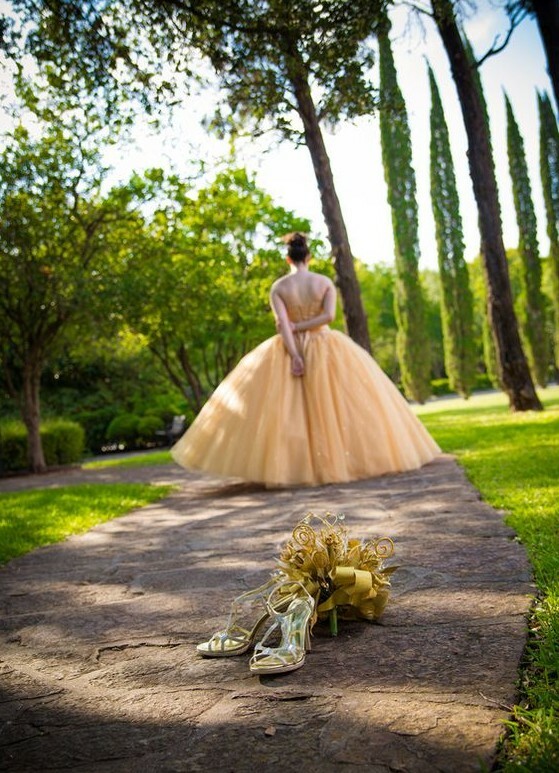 A Quinceanera gown symbolizes the change in status from child to young woman while a wedding gown marks the transition from a single woman to the status of a wife. The ceremony of the Last Doll, which is typically dressed in clothing similar the Quinceanera’s gown, symbolizes the last doll she will ever play with and is usually passed on to her younger sister sometime during or after the party. The presentation of the high-heeled shoes—into which she changes from the slippers or flats that she wore to the Mass and at the beginning of the party—as well as more formal jewelry are additional signs of the transition from a little girl. In some families, other “womanly” indulgences are celebrated, such as the Quinceanera finally being allowed to tweeze her eyebrows, shave her legs, put on makeup, attend adult parties, and entertain young men. The Quinceanera has a long and rich history. Couple that with the enthusiasm and fervor with which it’s still celebrated today, and it’s likely that this rite of passage will remain an essential part of the lives of most Latin American girls. While Western nations and cultures have their Sweet 16 and Debutante Balls, the Quinceanera is the Latin culture’s take on those celebrations and honors the young females of their families. It’s also a marker of hope that the Quinceanera girl’s future will be as bright and beautiful as she herself was on this most amazing day!